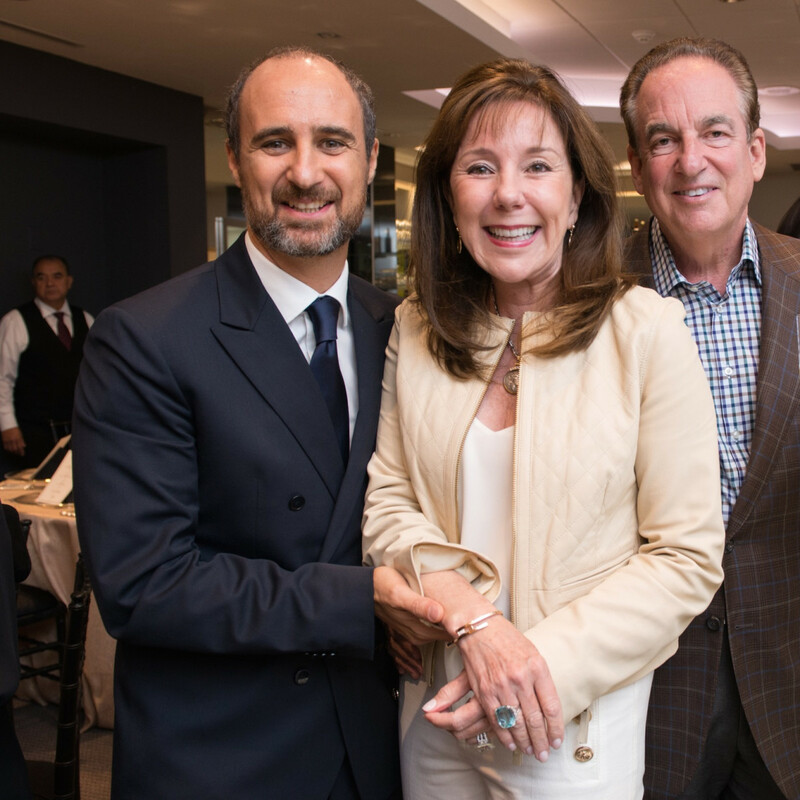 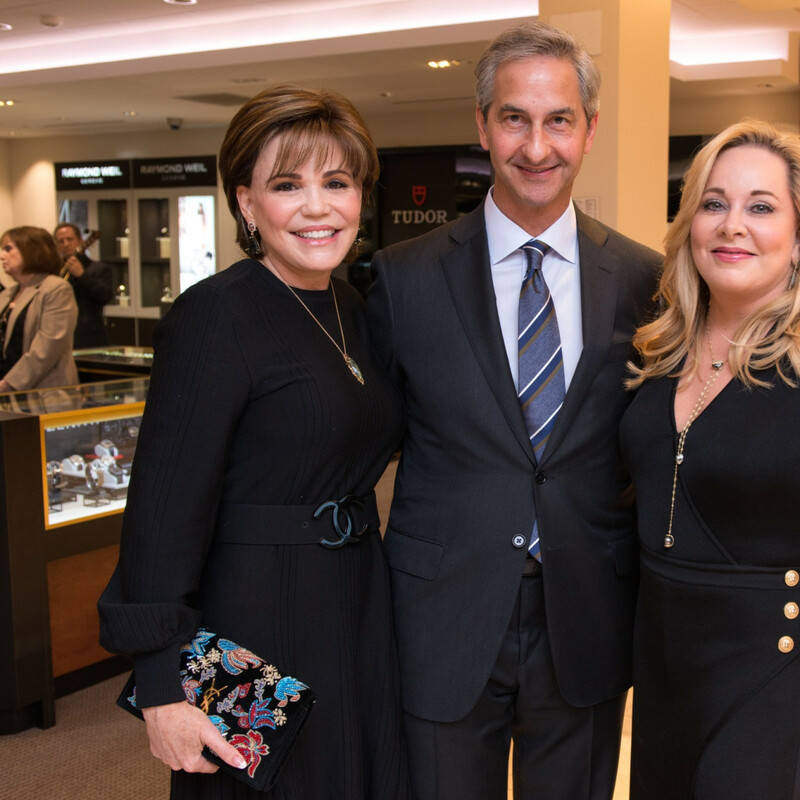 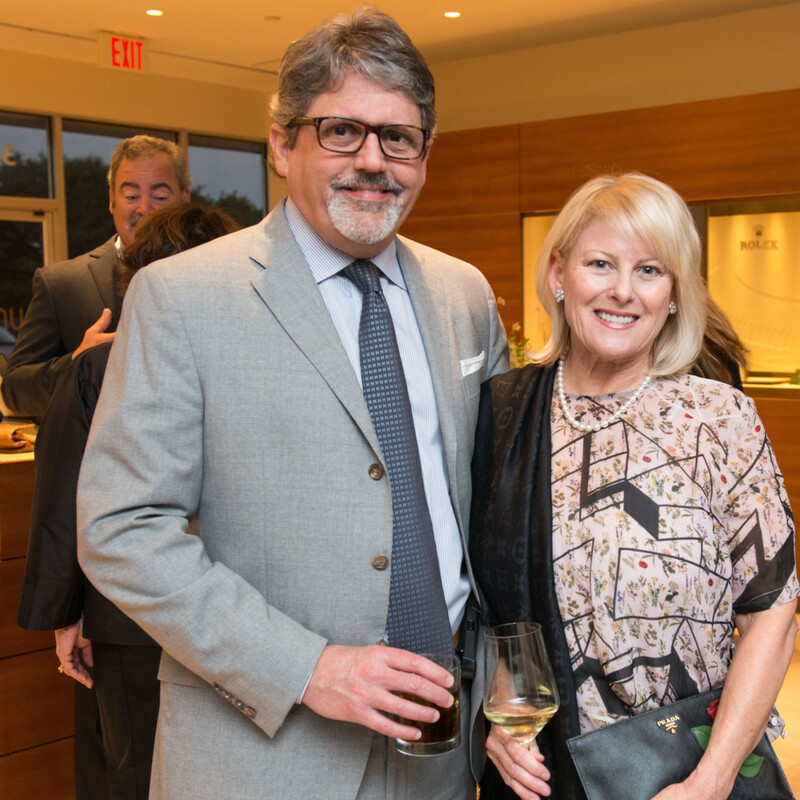 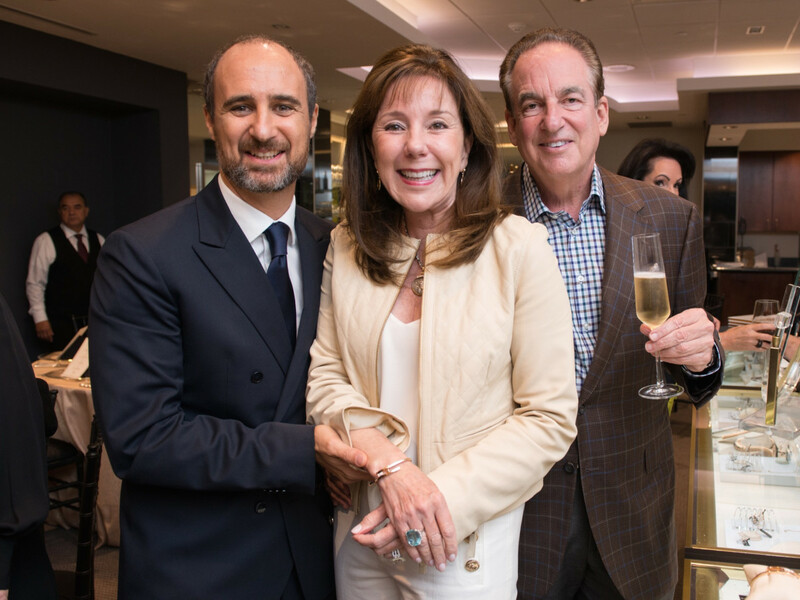 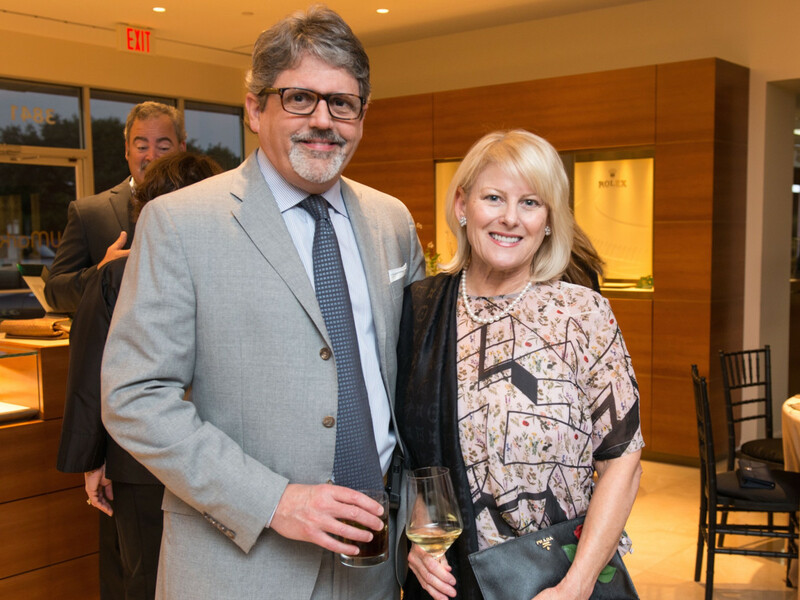 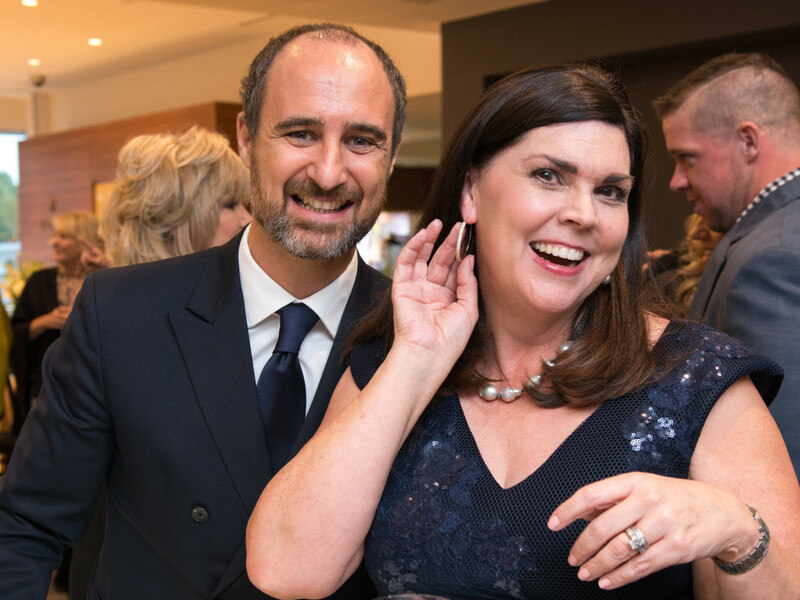 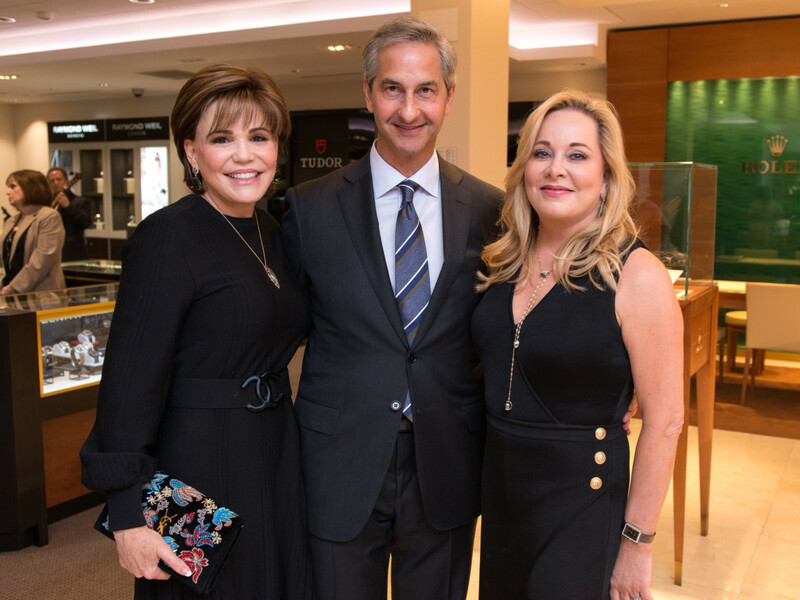 The IW Marks Jewelers annual Diamond Dinner had a special sparkle as owners Brad and Joanna Marks welcomed famed Italian jewelry designer Mattia Cielo, a favorite of such celebrities as Jennifer Lopez, Taylor Swift, Demi Lovato and Wonder Woman's Gal Godot. 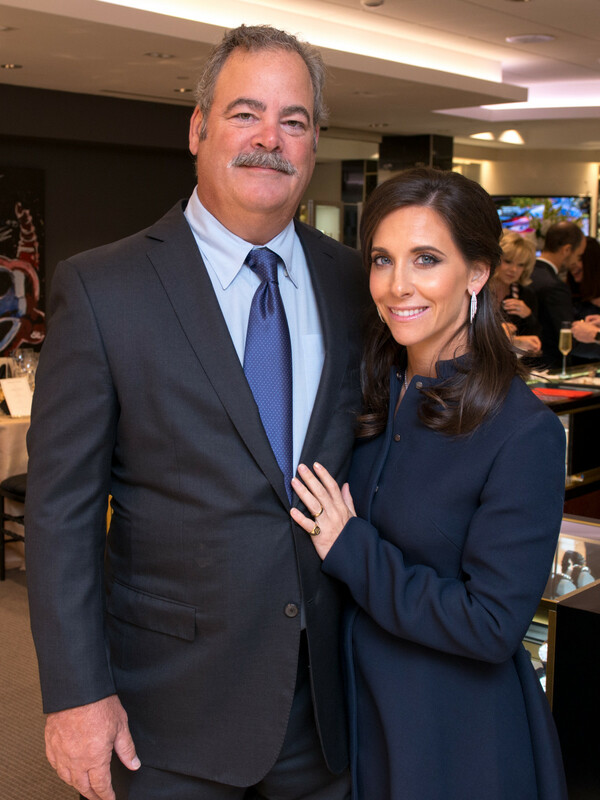 It is Cielo's first trip to Texas, so upon finding out that he is an avid fan of American football, the Marks arranged for the jewelry designer to attend Sunday's game with a prime sideline pass at NRG Stadium when the Houston Texans take on the Cleveland Browns. 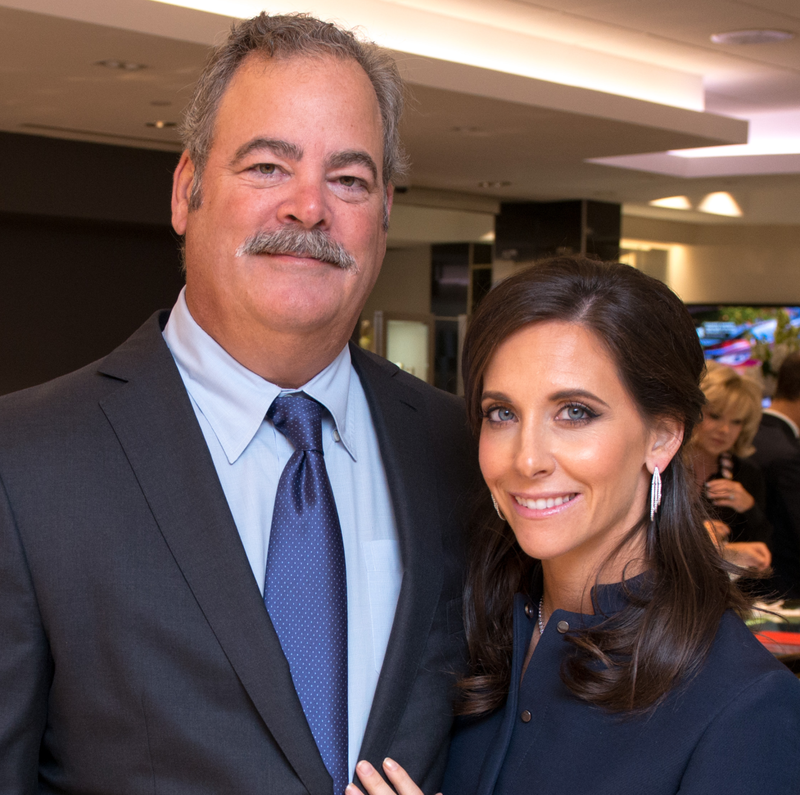 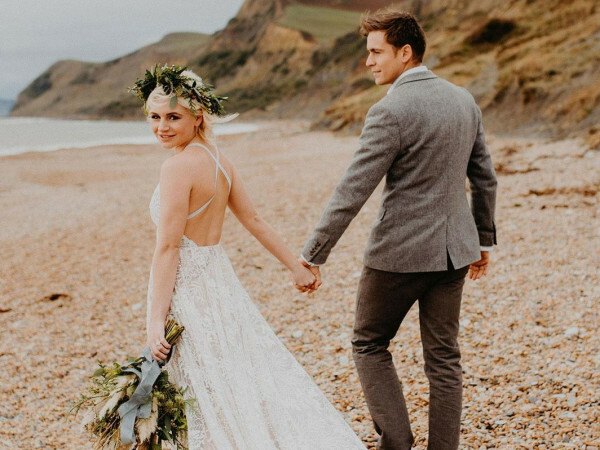 Joanna's sister, Hannah, is married to Texans vice chairman, Cal McNair. 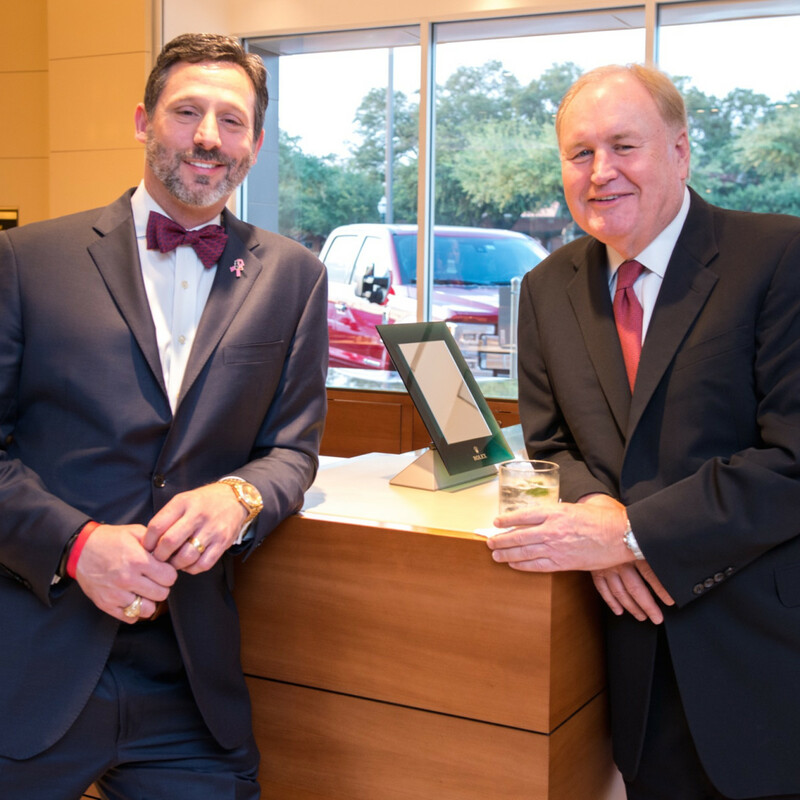 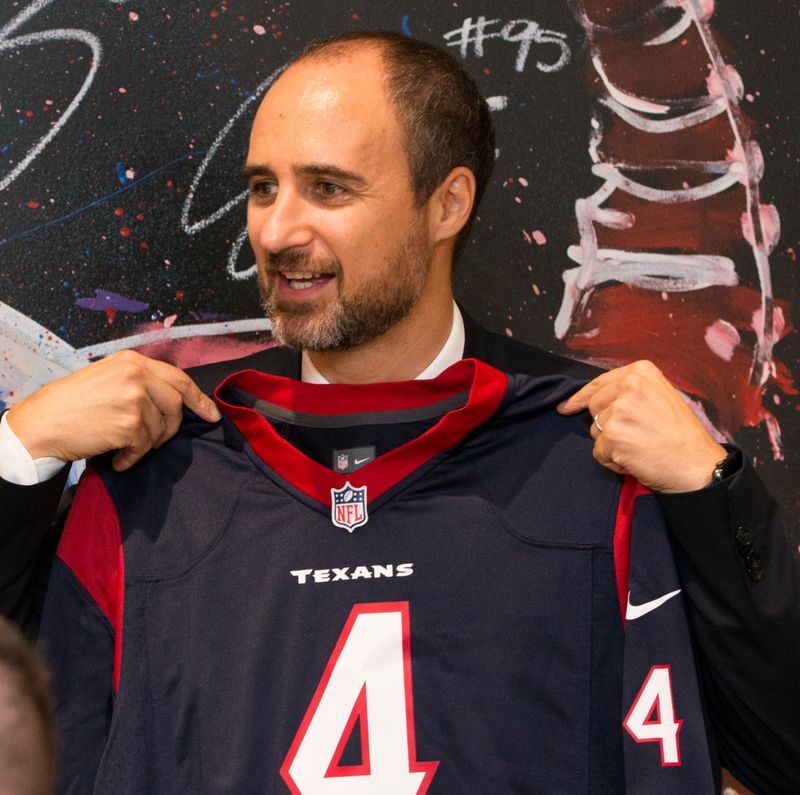 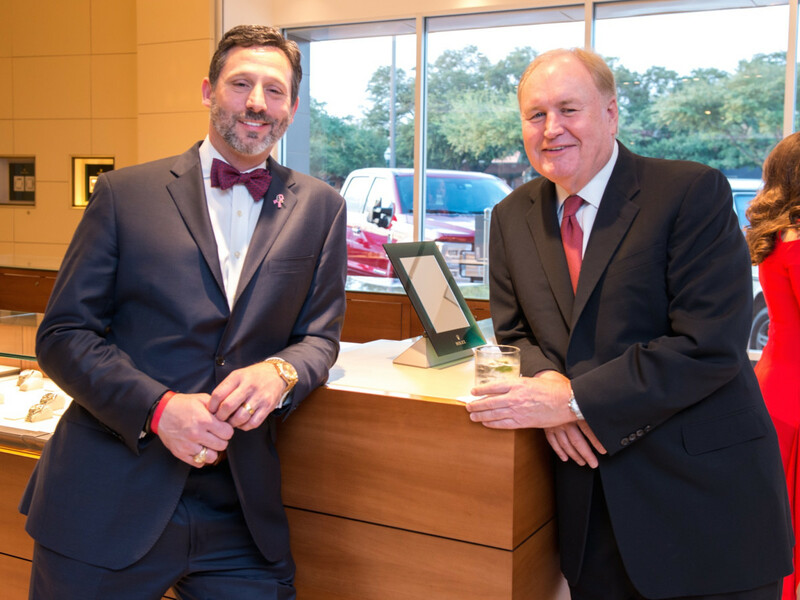 During a four-course dinner catered by Tony's that ended with a chocolate cake adorned with edible rose gold gems, Marks presented Cielo with his own Houston Texans jersey (bearing quarterback Deshaun Watson’s No. 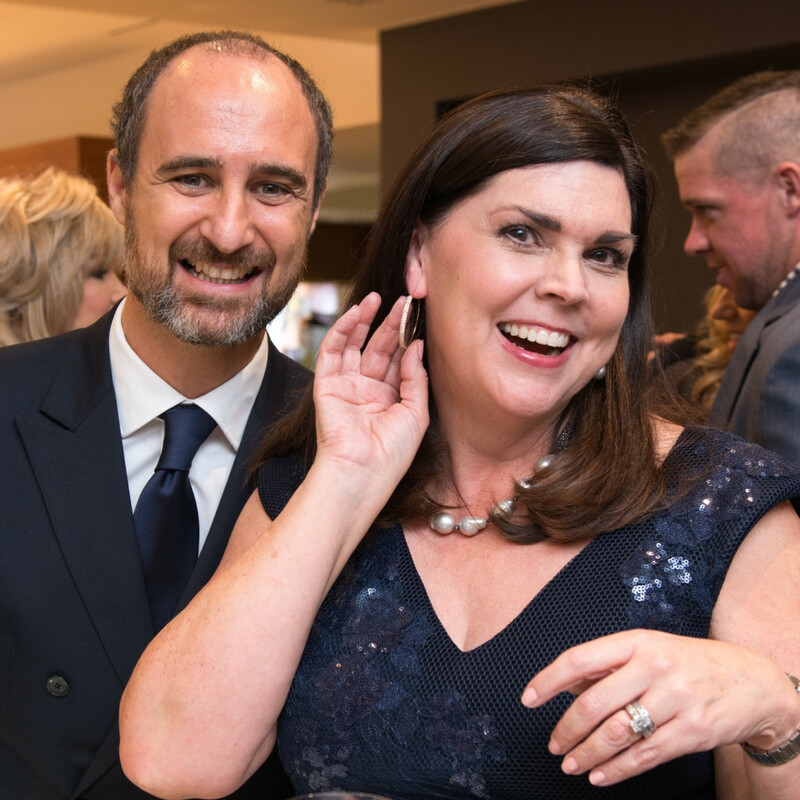 4 on it) to cheers from the crowd, which included the McNairs, Alicia Smith, Hallie Vanderhider, Bria Wall, Amanda and Jon Weeks, Sara and Paul Doyle, Lynne and Joe Hudson, Melinda and Bill Kacal, Jyl and Keith Calcote, Donna Vallone, and Gary Petersen. 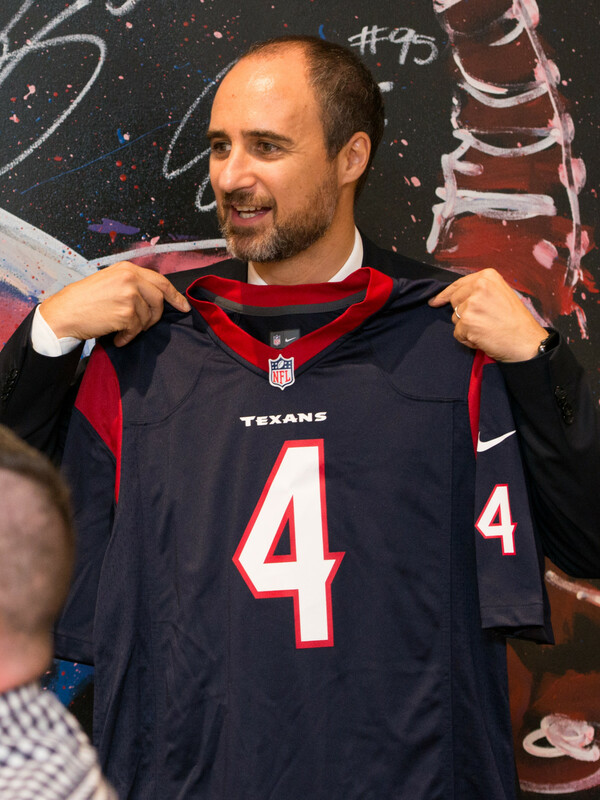 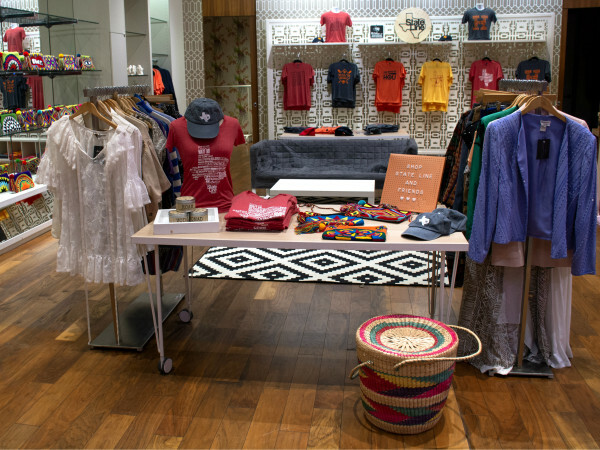 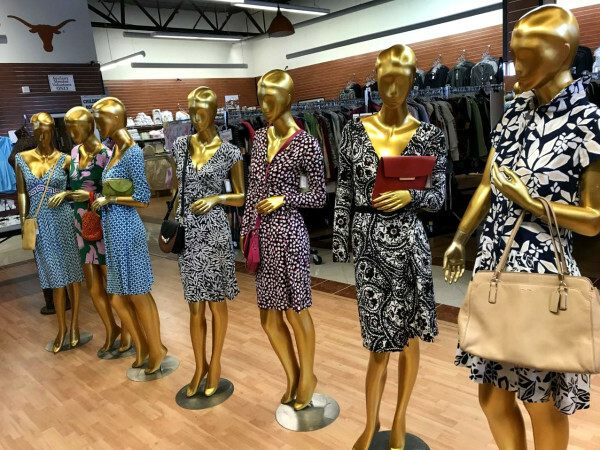 Before attending Sunday's game, Cielo will host a trunk show and personal appearance on Friday and Saturday (October 13 and 14) at IW Marks, 3841 Bellaire Boulevard.